Almost 20 years ago, Katherine Paterson gave a lecture called “The Invisible Child.” The lecture is printed in a collection called The Invisible Child: On Reading and Writing Books for Children, and Paterson’s wise words from 1999 get at the heart of why books mean so much to me and why I wrote my new middle grade novel, Up for Air. I think that’s such a beautiful idea, and it captures exactly what books have done for me throughout my life. I’ve always been a perfectionist. I’ve always felt more anxiety than people around me seem to feel. I’m hard on myself when I’ve made a mistake, and I struggle to remember that I can’t compare my insides to what other people show on the outside. When I think back on the books I cherished as a kid, I realize that I loved them in large part because they helped me be kinder to myself. It was such a relief to read novels like Paterson’s Jacob Have I Loved and Judy Blume’s Just as Long as We’re Together and be able to compare my own insides to someone else’s insides. It was such a comfort to know that I wasn’t the only person who worried about things that other people seemed to take in stride. I wasn’t the only one who occasionally misunderstood where other people were coming from or said things I wished I could take back. Books can help readers to understand and care for people who are very different than we are, and that’s an incredible thing. But I think it’s equally incredible that books can help us to understand and care for ourselves. 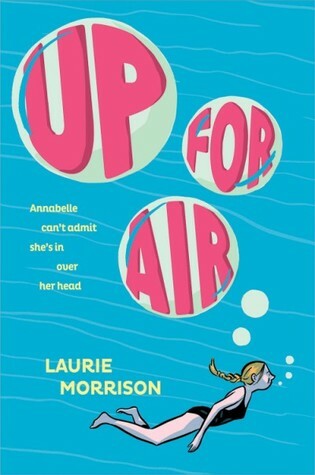 I wrote my new book Up for Air as an act of love for myself and for any readers who have felt vulnerable and embarrassed after “messing up.” It’s the story of thirteen-year-old Annabelle, a struggling student and star swimmer who ends up in over her head when she gets bumped up to swim on the high school team during the summer before eighth grade. She makes some big mistakes; she misunderstands some situations, lets down people she cares about, and convinces herself of things she wants to believe are true. This book has been through a few dramatically different iterations since 2011, the year I first discovered Katherine Paterson’s lecture and conceived of Annabelle as a character, but one aspect has remained constant. It grew out of feelings I was grappling with at that time—vulnerability, disappointment, and embarrassment—and that emotional core of the story has endured. It turns out that I was on the cusp of some very big changes back in 2011—a move to a new city, a job at a new school, important new friendships, and a new relationship with the wonderful man who is now my husband. But I didn’t know any of that at the time, and I was in a low place. I had a clear sense of what I wanted in my life, I didn’t have it, and I felt like I’d made embarrassing mistakes as I tried to force things to be the way I wished they were. I felt the intense, everyone-must-be-judging-me shame I hadn’t experienced since adolescence. So I wanted to write something that explored those emotions. Annabelle wasn’t the main character in the book I started writing in May of 2011—she was a secondary character. But even though my protagonist changed over the years, I was always writing about a character who tried so hard, messed things up, felt humiliated, and figured out how to be okay. More than okay. Once I decided to focus on Annabelle, I did what Katherine Paterson described. I looked deep inside Annabelle’s heart to see her whole invisible self, and I put those hidden parts onto the page. 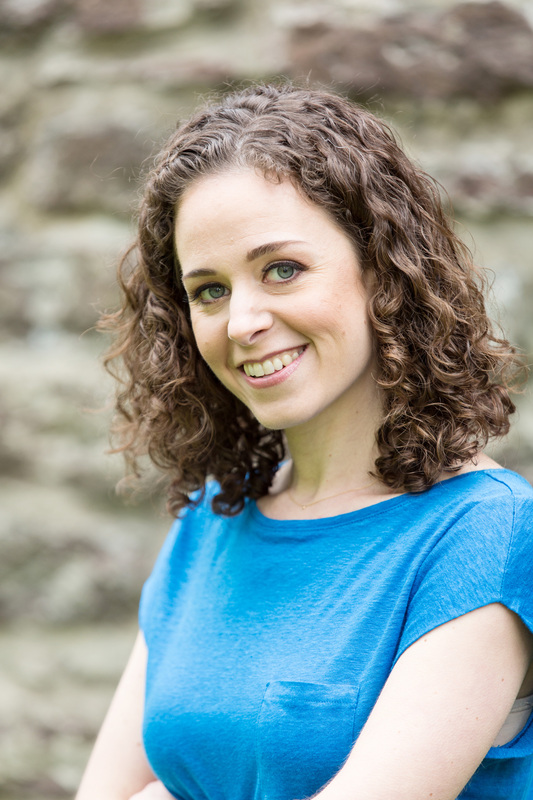 And as I wrote and revised her story, I felt so much love and compassion: for Annabelle, for the middle school students I taught for ten years, for a younger version of myself…and for my adult self, too. Working on this book, inhabiting Annabelle’s heart, mind, and world, I have learned, again and again, that we all make mistakes despite our very best efforts. We all feel embarrassed about them sometimes. And we are all still lovable and worthy of wonderful things. Reading books has always helped me to be kinder to myself, and it turns out that writing this book has, too. I hope Annabelle’s story might help some middle-school-aged readers be kinder to themselves, as well. I hope that maybe, at least on a subconscious level, it could help them to “love and forgive their deepest selves,” as the great Katherine Paterson said. Wonderful! I look forward to reading this book!!! Such a poignant and self-revealing HONEST essay. I am sure thousand if not millions of people still need to hear about the internal pain that comes when we feel we are somehow “not measuring up” to some internal or internalized perfection standard. At the age of 63 and a lifetime of reading books of many disciplines and genres I can say with certainty that we all feel somehow “less than” or as though we have fooled everyone with our perfection “act”. AND across every culture, yet especially as women in America, we are especially tortured by this falsehood. We all feel unable to measure up and we are all perfect EXACTLY AS WE ARE. To be able to see that in a character in a book somehow makes it easier for us to feel seen, forgiven as we forgive and love the character and this, ourselves. Brava Laurie Morrison Fabius for writing Up For Air. Eagerly awaiting my chance to journey to healing again through your characters.